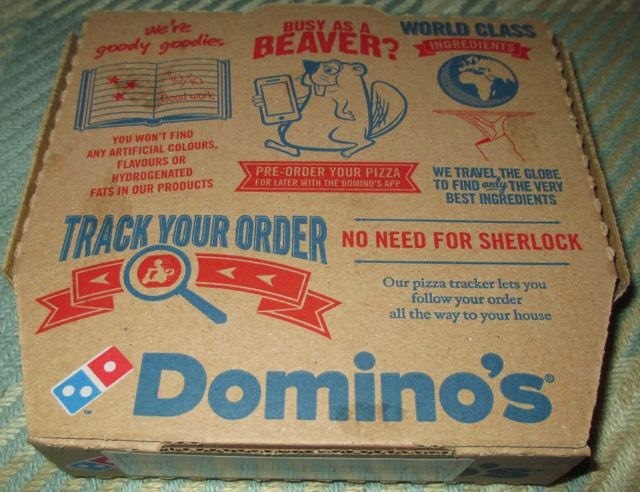 We decided to have a take away from Dominos and so I found myself browsing to see what new flavour pizzas they had, disappointedly I couldn’t see anything. I also spotted that the Fiesta and Rio pizza (the previous latest edition) had disappeared. This was an odd situation for me, choosing a pizza from the regular menu. I always go for the latest or special, thats kind of how my brain works and sort of why this blog was set up. Oh well, after a browse I decided on a Meateor, it looked like the perfect meat feast and circle of meat balls looked kinda cool. When it came to side orders my Foodstuff Finds cravings were a little bit more satisfied, they have the newly listed Mac N Cheese Bites, essentially cheese macaroni in breadcrumbs with a dip! That is both suitably weird and new for me. There was also newness on the desserts menu, but I’ll come to that shortly. 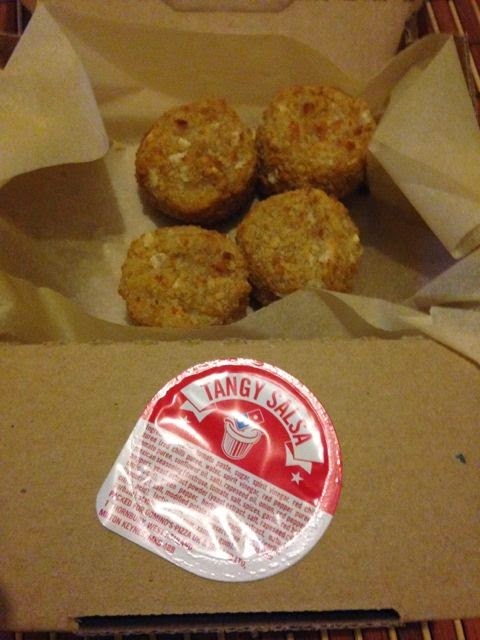 There are four Mac N Cheese Bites bites in the box, served with a salsa dip. The bites are a fairly decent size and do take multiple bites to eat. 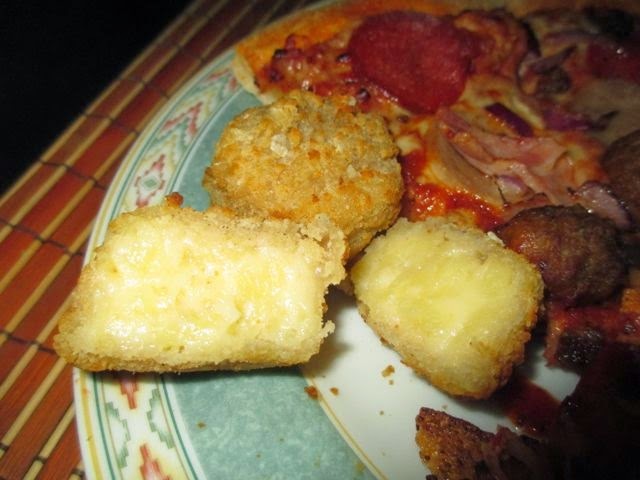 I do love cheese macaroni, so I did like the flavour, and it came through well. I was a bit disappointed to find that the macaroni wasn’t really present visually when I cut one in half, I was hoping to see defined pasta shapes. The dip was good, and a nice contrast with its spicy tomato flavour, but I found I liked them without, so I could pick up on the cheesy goodness better. 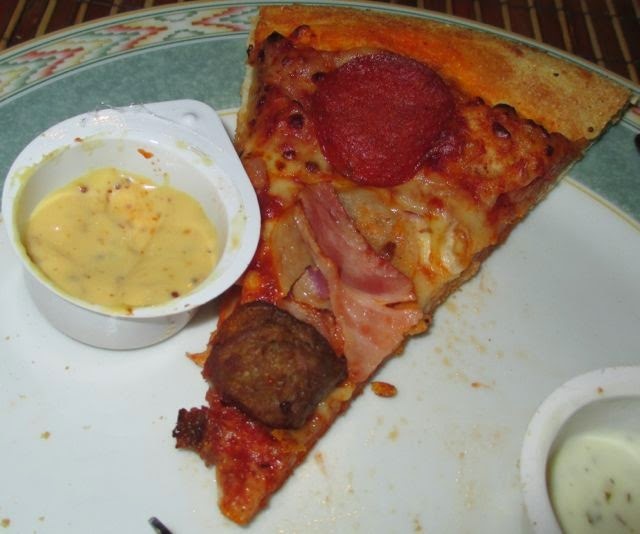 They were enjoyable, but I’m not sure they surpassed the garlic dough balls as a side order. 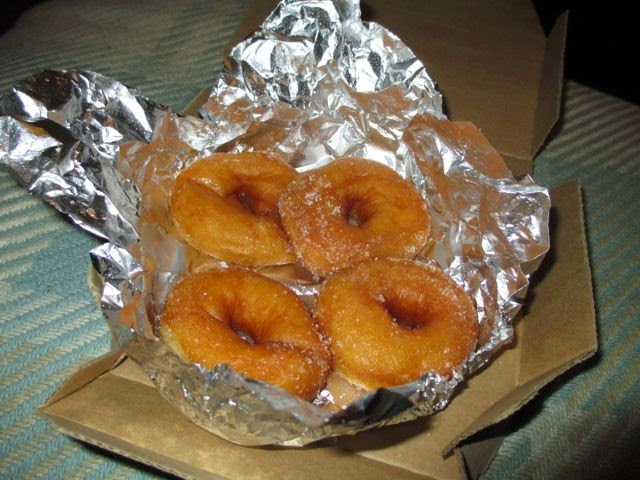 My other new find on the Sides menu were doughnuts! There were four in the box, and they were just heaven. Fluffy, coated in sugar and warm (even after all that pizza). 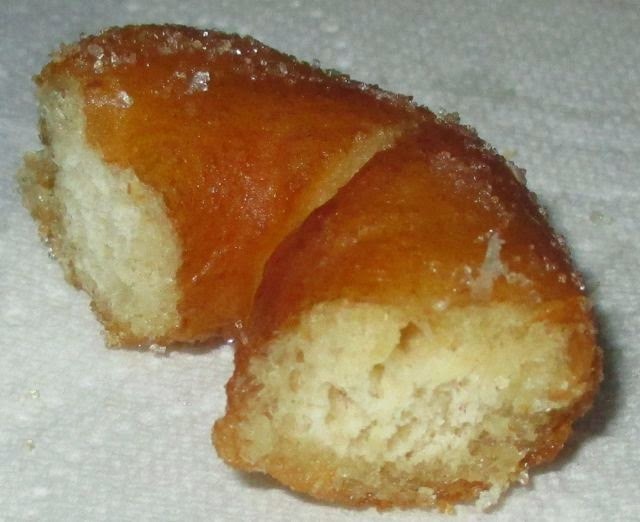 They were just like the ones you get at the fair ground, little rings of sugary naughty yumminess.